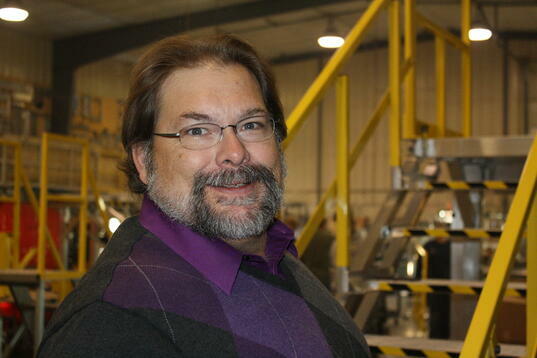 Today we talk with Tom Spika, President of Spika Welding & Manufacturing. A: Most of my life. The first Spika Welding & Fabrication opened in 1981, 33 years ago. The Studester, in its first life as a one-ton truck, was the field welding rig back then. In 2001 I started Spika Welding & Manufacturing with my wife Carol and have been doing this ever since. A: Feeling pride in the product that is going out the door and in the improved skills of everyone working here, both in support and production roles. A: Most days seem to be something similar to chaos from start to finish. I spend a lot of my time developing conceptual designs and solid models for new customer requirements or for new products we are developing. The typical business management things take quite a bit of time - reviewing financial reports, dealing with scheduling, staying on top of personnel issues. It seem like there is never enough time to accomplish all that I want or need to, and never enough time to interact with the employees like I‘d like to. A: I really do enjoy creating new products, and looking for ways to add tangible value to the products we’re building. I’ve really taken an interest lately in advocating for small manufacturers in the state, trying to work to address the anticipated shortfall in our workforce in the coming years by connecting the needs of manufacturers and industry with the curriculum and skills being taught in our secondary and postsecondary schools. I see this as one of the ways I can bring value to my role as Chairman of the Montana Manufacturing Council. As for hobbies…really about all I like to do in “spare time” is build and travel around the state in our street rods. A: Our UMS series. They are economical and very versatile work stands, and they're extremely valuable to people who need to quickly access upper level areas for inspection, maintenance, whatever. They don’t take any time to set up and provide a safe and effective work station. Not only does that reduce costs associated with injuries, it makes the job easier and reduces damage to parts. The UMS series keeps growing to provide easy access to almost any helicopter and a great many industrial applications. A: Take the time to look at how well the products are designed and built, as there is a lot of difference in what is on the market. Be sure to work with a company that takes the time to learn what your challenges and needs are and that will provide you with the best solution to meet those needs. A: Probably right in my office in the middle of MT. I’ve had the chance to see a lot of really cool places, from Brazil to Sweden to Australia to Hawaii, but this is home; this is where I really want to live my life.